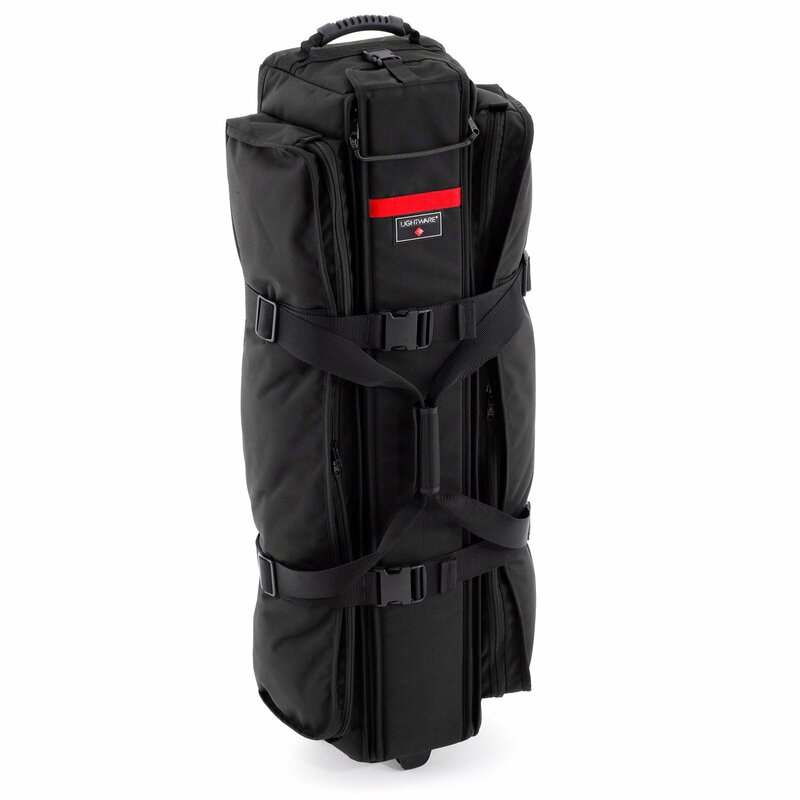 The Rolling Stand Bag 38 is the little brother to the 48 rolling stand bag. 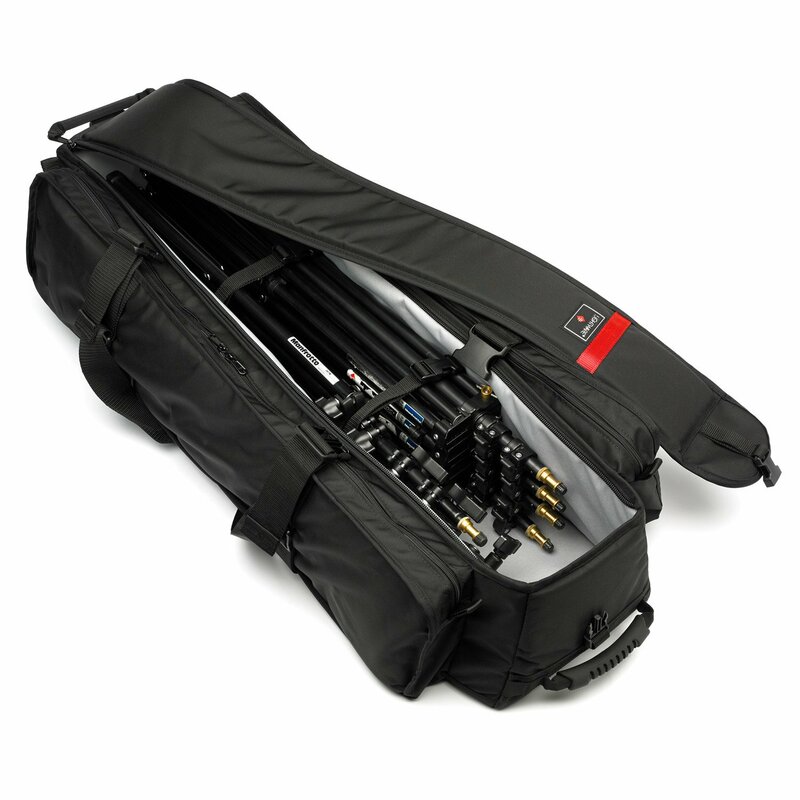 It is an excellent case for common sized stands, umbrellas, soft boxes, tripods and general “gear”. The Stand Bag also features adjustable tie down straps with quick release buckles and tie down straps inside. 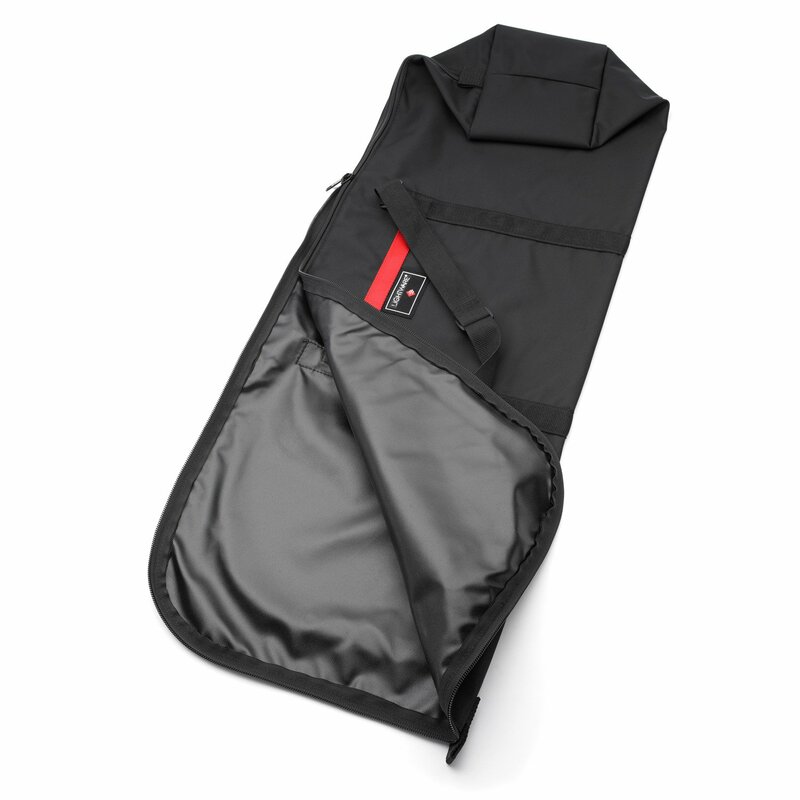 The Stand Bag is made with Ballistics Nylon Fabric, heavy duty #10 YKK zippers and is fully padded with 1/2″ Duralight closed cell foam. 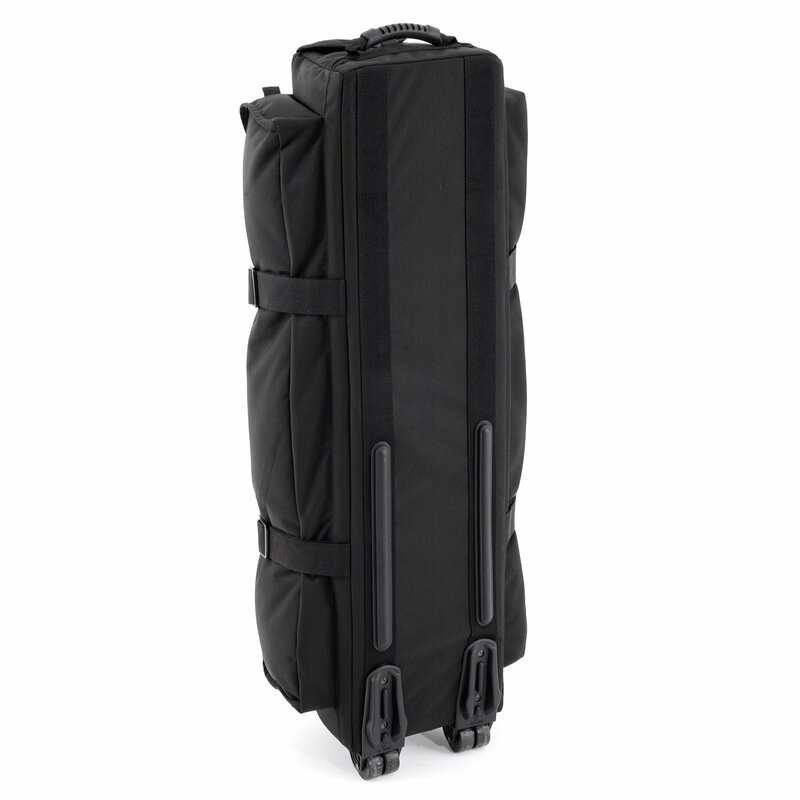 The Stand Bag has a rigid interior back plate for case stability and sports a set of “double wide” wheels that can be easily replaced if needed. 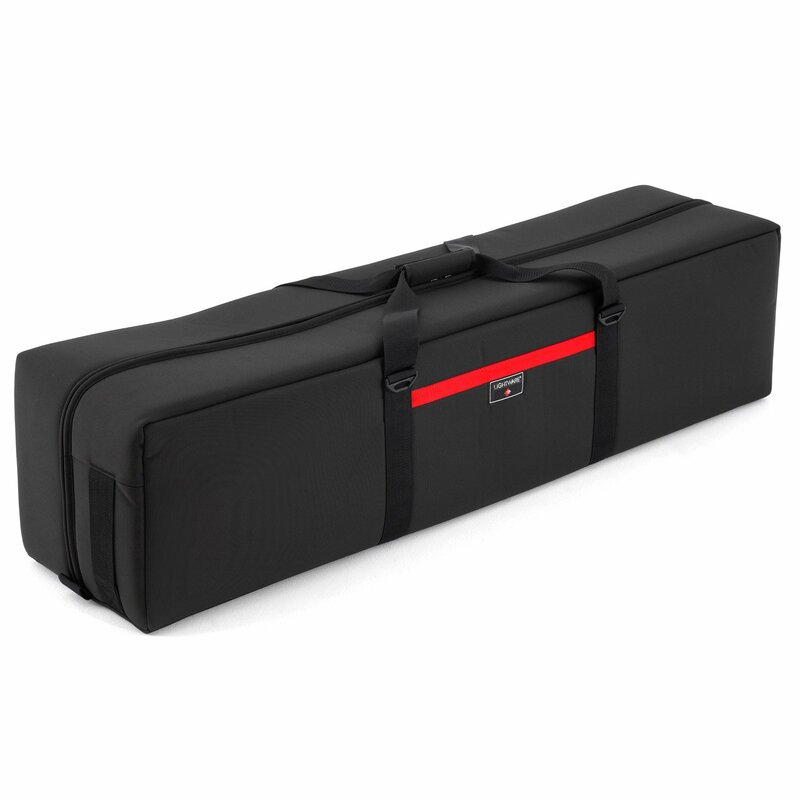 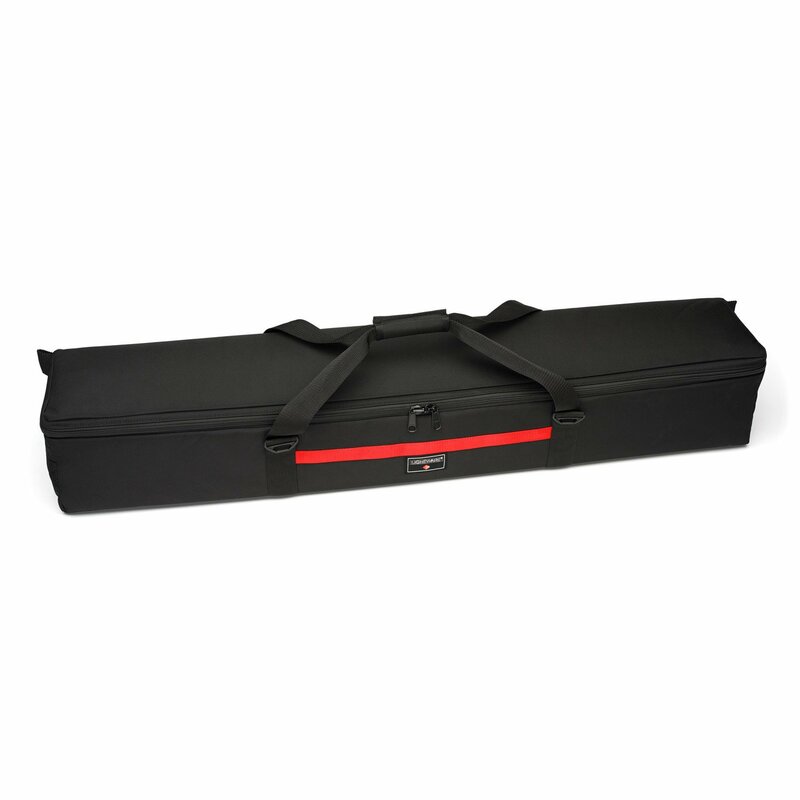 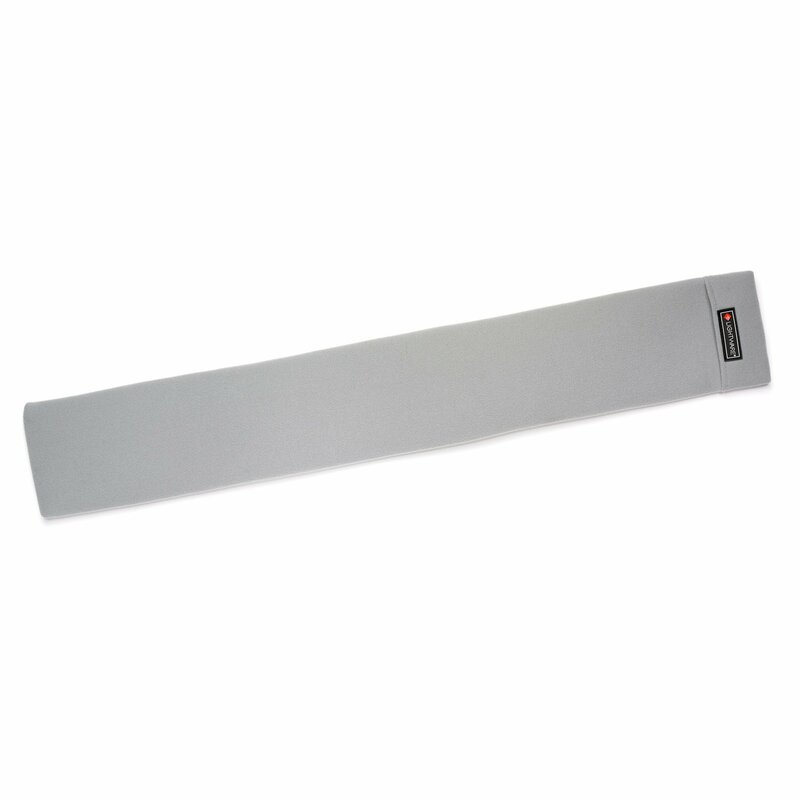 There is a padded grip handle on the end for ease in pushing or pulling as well as a padded carrying handle on the front side for those times when you have to pick the case up. 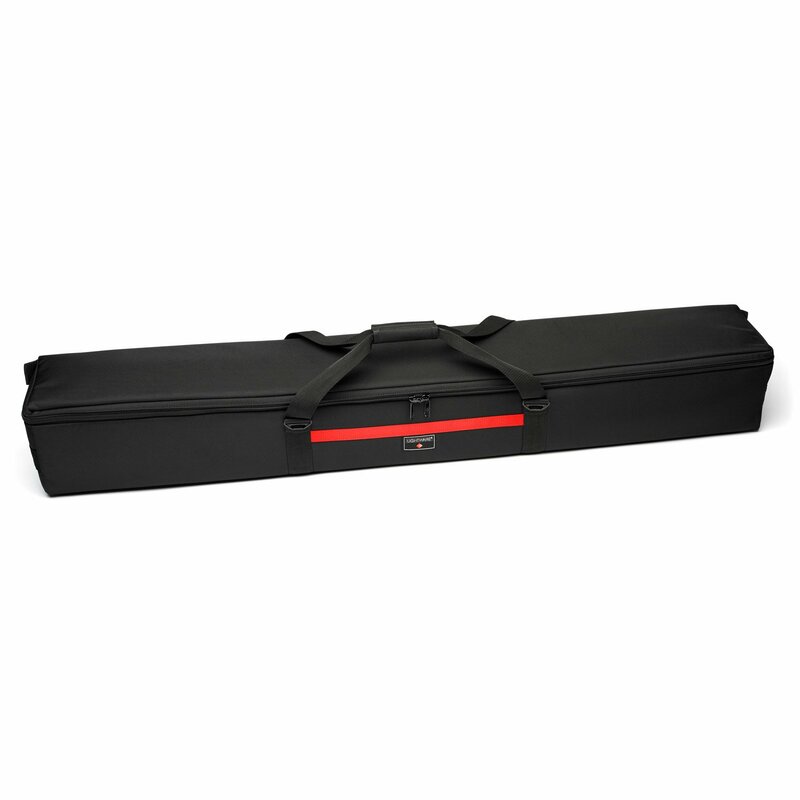 Two side lock buckles insure the case stays closed when traveling. 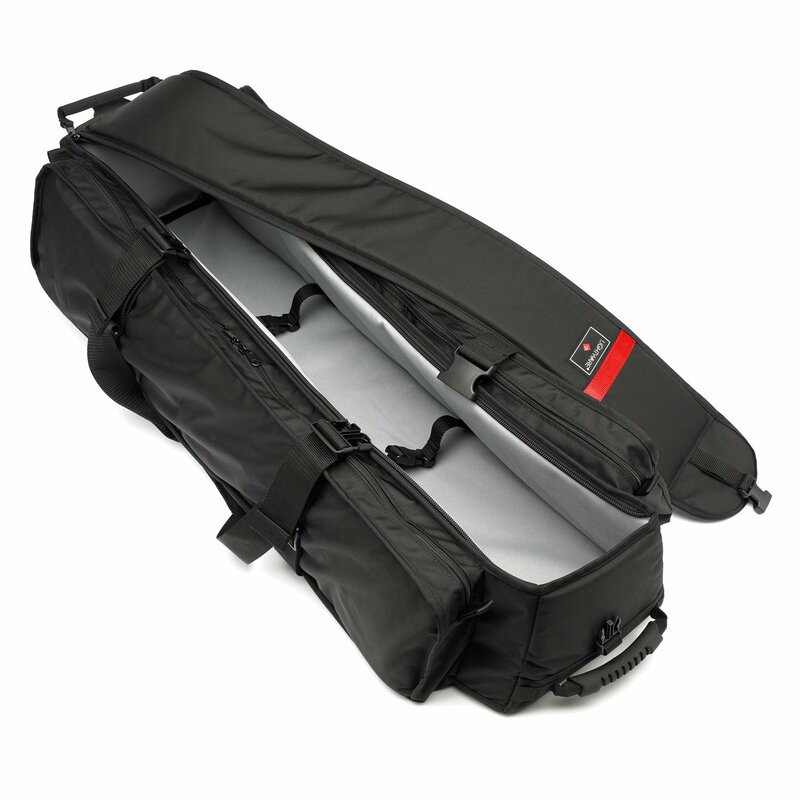 Along both sides are long zippered pockets for the necessary extras. 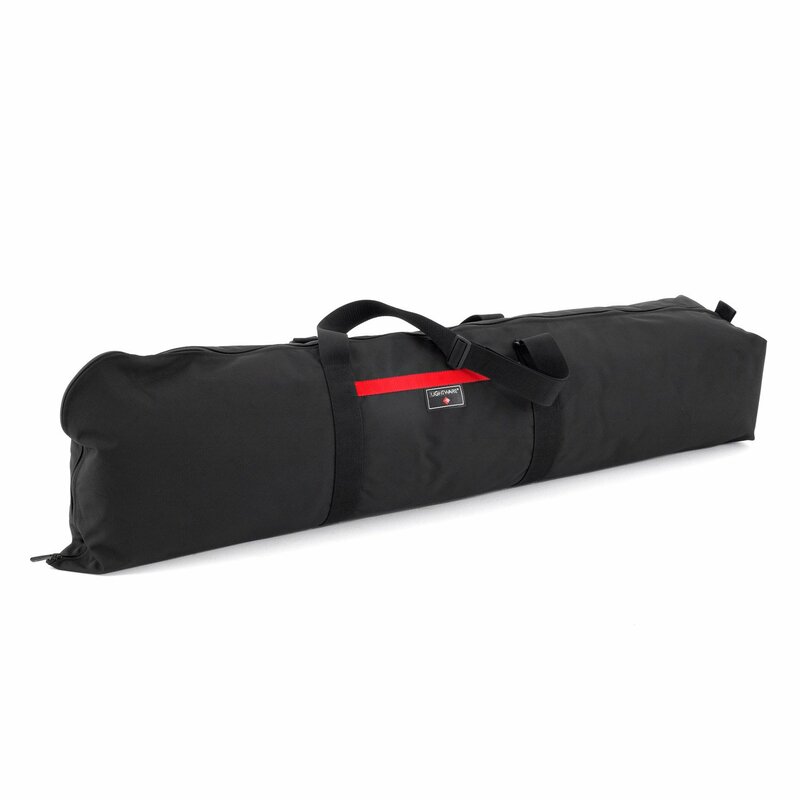 We like to keep some 8’x8’ silks in one pocket and a black velvet in the other. 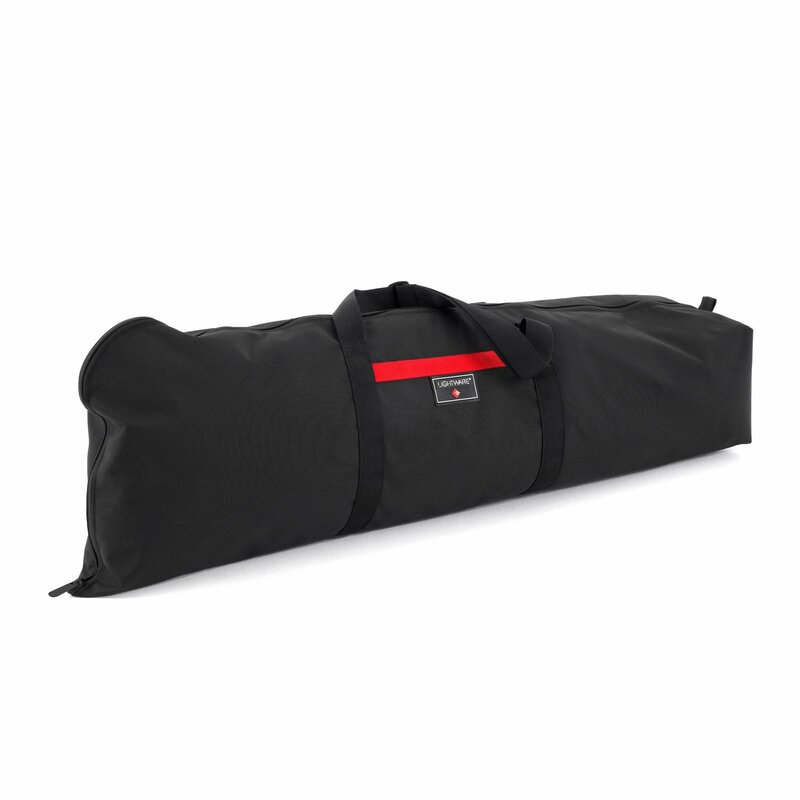 This is also a good spot for small umbrellas or an additional lightweight background. 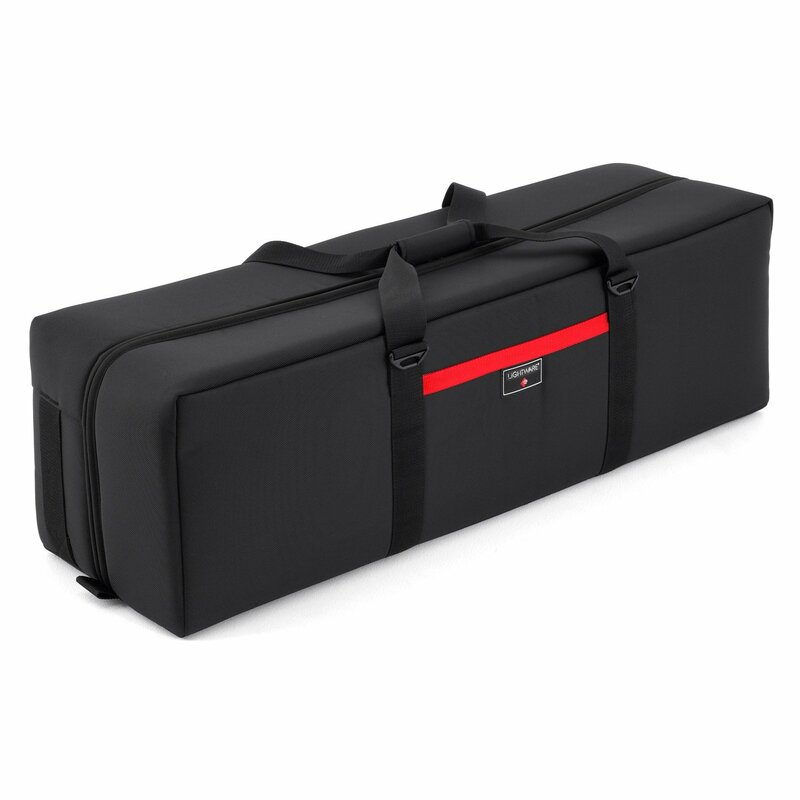 This case is airline checkable but is not suitable for your “delicates” cameras or lenses.